How does the diversity of the scientists themselves impact the quality and outputs of research? Which evidence-based approaches to training and persistence in biomedical research work? And in which contexts? 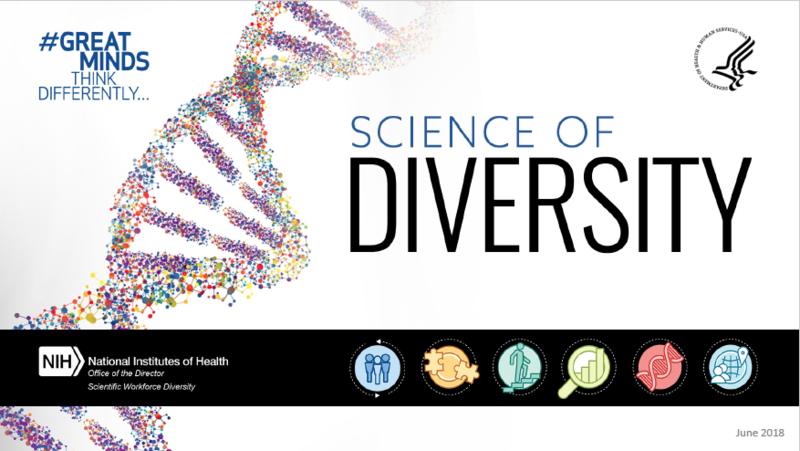 The Scientific Workforce Diversity (SWD) Office leads NIH’s effort to diversify the national scientific workforce and expand recruitment and retention. 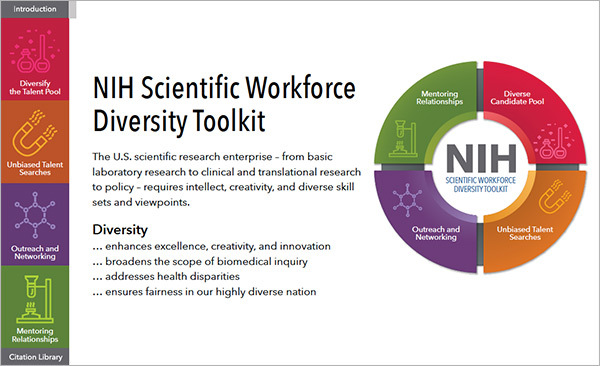 We invite you on this journey to establish NIH as the national scientific workforce diversity leader by widening and deepening our ways of thinking and practice. As a nation, we can reach new levels of inquiry by encouraging innovative, science-driven thinking made possible by broadening the diversity of thought that comes with a diverse scientific workforce. Page Last Updated on October 24, 2018.